The overarching goal of this project is to support the World Bank Group's efforts to promote sustainable poverty reduction in forests and to work with governments and the international community to promote the use of forests and their resources to reduce poverty and boost shared prosperity. While knowledge is increasing about forests as a source of day-to-day subsistence and as a safety net in times of need, much less is known about the extent to which forests can provide a pathway out of poverty. Currently, there is no systematic understanding of how forests may help the poor move out of chronic poverty and/or improve their current economic circumstance. Knowledge gaps regarding the role of forests in poverty alleviation are often conceptual, but even more importantly, empirical. Frameworks such as those focusing on ecosystem services, or those elaborating different types of contributions of forests to human welfare can be used to structure analyses of forest-people linkages. But there are also critical knowledge gaps about forests as a source of employment and pathway out of poverty challenges in collecting relevant information on the contribution of forests to household well-being. Difficulties of measurement, valuation, and enumeration thwart efforts to capture this contribution. 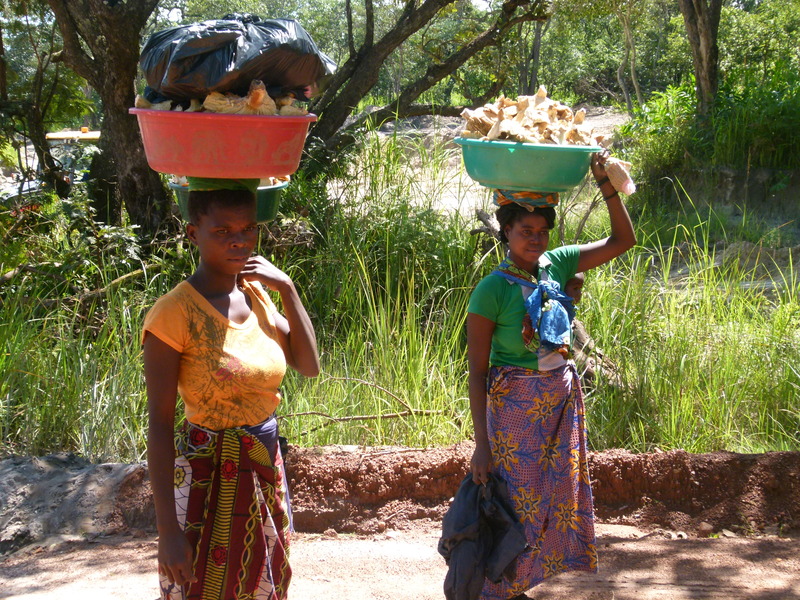 In particular, the remoteness of many poor, forest-reliant households and the length of time required to complete many surveys are barriers to collecting adequate information, which contributes to the lack of consolidated knowledge available on the linkage between forests and a pathway out of poverty. To program is employing four pillars that build on earlier efforts by PROFOR and other partners and aims to: (i) consolidate what is known about forest-poverty linkages, (ii) generate new knowledge on this interaction, (iii) improve how we measure household use and dependence of forests, and (iv) share these results with a broad set of policy makers and practitioners. The work will be conducted in close collaboration with an external reference group of advisory experts and key institutions that includes representatives from the organizations, such as the Center for International Forestry Research (CIFOR), Food and Agriculture Organization (FAO), International Union for Conservation of Nature (IUCN), the International Centre for Research in Agroforestry (ICRAF), the Forest Stewardship Council (FSC), International Tropical Timber Organization (ITTO), International Union of Forest Research (IUFRO), as well as universities, policy institutes, foundations, and non-governmental organizations (NGOs). (1) A knowledge review, focusing on synthesizing evidence on the impacts of forestry policies and programs on poverty reduction in evidence maps, and to explore this evidence in an in-depth knowledge review. (2) A conceptual framework will be developed, including a common set of definitions and core forest-poverty linkages to be explored. (3) Country studies, bringing together and consolidating already on-going projects. The program will serve to streamline these studies as far as possible, to maximize comparability and learning. (4) Development and field testing of the Forest-SWIFT (formerly called forest-poverty app) in Tukey, Argentina, and Mozambique (tbc), building on ongoing work on the forestry module of the Living Standard Measurement Study (LSMS). (5) Dissemination and outreach will be targeted to specific internal and external users and audiences, and will include setting up a reference group with external experts. This activity is ongoing. However, notable progress has been made in the development of a new conceptual framework as well as data collection and analysis tools. New knowledge is also being generated through a series of analytical studies at the regional and country level as well as the global level through the systematic literature review. The team has also started exploring both internally and externally opportunities to mainstream this knowledge into operations and policy dialogue. For example, In Turkey, the preliminary results of the analysis are already feeding into the next 5-year forest strategy. Futhermore, the redesigned Evidence for Nature and People Data Portal has been launched: This new portal features a wider range of interactive visualizations that allow users to explore, filter, and download data from systematic maps of evidence. The systematic map dataset on links between forests and poverty alleviation is also now live! The systematic map protocol for this work is available open access from Environmental Evidence and the systematic map itself is currently in review. Results will continue to be shared on this page and used for awareness raising and mainstreaming into planning and policy.